TGIF!!! Della at Della Devoted, Katie at Cup of Tea, and myself want to welcome you to the High Five for Friday link-up and the weekend. We made it! High Five for Friday is where we come together to share five highlights from the past week each Friday. First things first–how do you like our new logo? H54F got a little makeover this week:) We will hopefully have new H54F buttons next week for those of you who use our button on your blog, and we will be returning with our featured blogger series. And do you notice a fourth name on the logo??? Please join us in welcoming our new host, Becky from byBMG!!! Becky and I actually became friends through the linkup before I started co-hosting it, so she’s been around since the beginning. 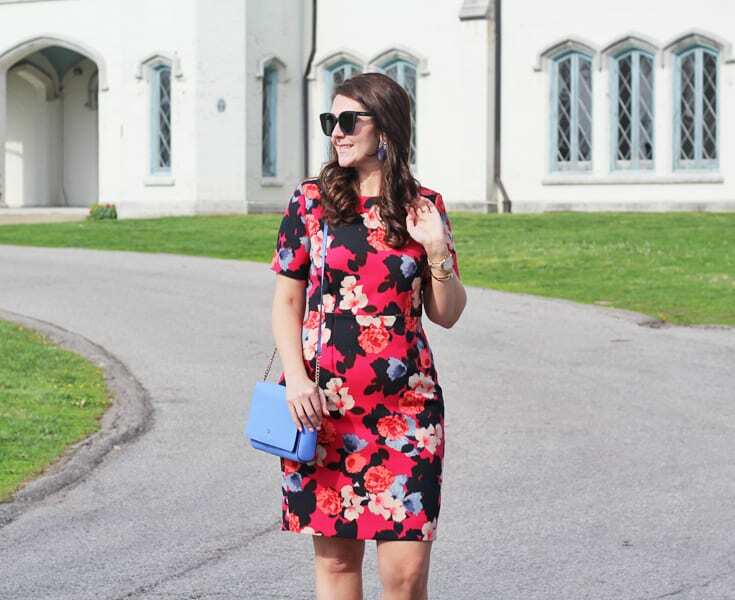 Becky is a fashion and lifestyle blogger who includes lots of easy DIY posts. 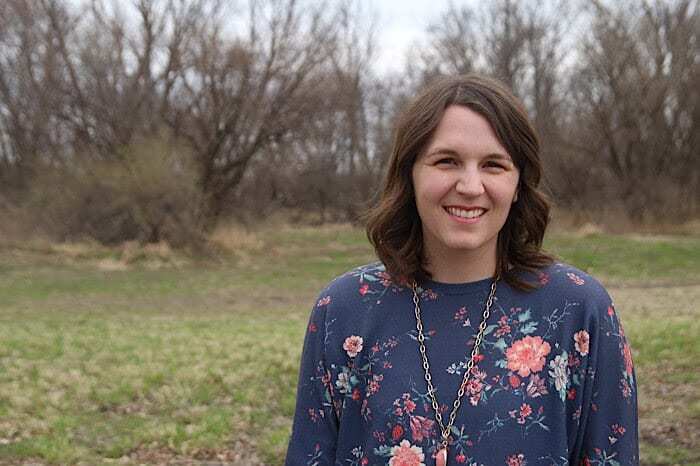 She teaches full-time and is a mom to three sweet boys. She also sells LipSense (and y’all know I love it!). 1. Did you see this announcement about next weekend? 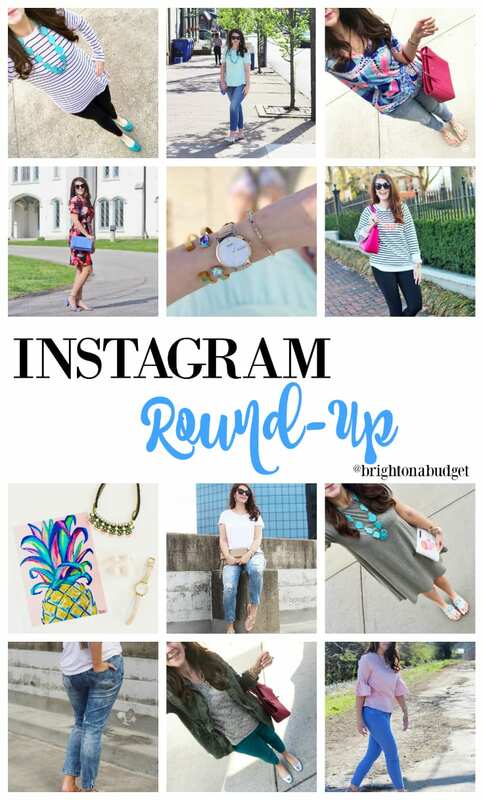 The Outlet Shoppes of the Bluegrass are right outside of Louisville, and a shopping destination for central Kentucky. When I’m looking for great deals on my favorite brands, like J. Crew, Kate Spade, and Gap, I hit up these outlets. 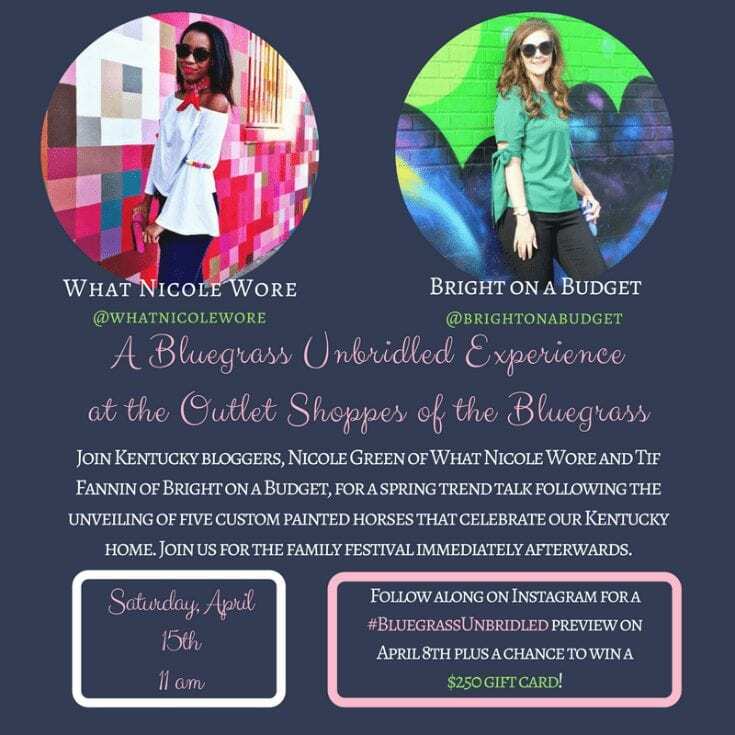 So I’m super excited that Nicole from What Nicole Wore and I will be hosting an event at the Outlet Shoppes of the Bluegrass on April 15. Get all the details below or click here! You can also checkout the Facebook event page here. 3. I found my missing real pearl earring that Chauncey got me for our anniversary last year. It was MIA. I couldn’t find it anywhere! To say I was freaking out was an understatement, but I methodically cleaned around my desk and I found it! I felt something roll and bounce off my toe–I’m pretty sure it was that earring because I found in a little jewelry dish I had sat in the floor under my desk that I had already checked three times! 4. If you don’t have Unicorn Fur in your life, you NEED it! It’s the perfect lipstick for spring! I’m wearing it in this post. 5. Yesterday was a rainy day, but Chauncey brought home Mellow Mushroom for dinner and it made everything better! I love a good warm meal on a rainy day!